According to the Financial Post, the Federal Government is set to proceed with its spectrum auction despite recent ramped up lobbying and PR efforts by incumbents to delay or ask for rules to be changed. Industry sources tell the publication Industry Minister James Moore has started to conduct 30 minute meetings with officials from Rogers, TELUS, Bell and new wireless entrants. Industry Canada spokesman Sébastien Gariépy says Moore “will be meeting with representatives from various sectors in the coming days and weeks.” The talks will involve incumbent executives who seek to convince Ottawa its upcoming 700 MHz spectrum rules are unfair as they will favour U.S.-based Verizon at the expense of shareholders, employees and rural communities. On top of a recent media blitz by incumbent CEOs, an online government lobbyist registry has revealed high profile executives who sit on the boards of incumbents have registered to lobby Ottawa in regards to the spectrum auction in the past month, hence the meetings Minister Moore is currently undertaking. 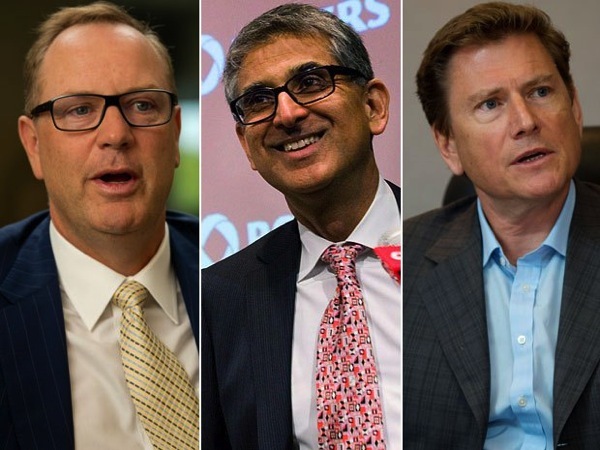 Neeraj Monga and Desmond Lau, financial analysts at Veritas Investment Research also believe Ottawa will proceed as planned, as note incumbents did not oppose auction rules, which were created more than a year ago and included consultation with the industry at the time. The pair reminds us as of this May, the federal government’s goal of creating a fourth wireless carrier was “in disarray” as newer wireless entrants were struggling to stay afloat. It wasn’t until the talk of Verizon coming to town did incumbents start to lobby and protest unfair spectrum rules, which they did not oppose when they were created. The arguments of why Ottawa should change ‘unfair’ wireless spectrum rules have been heard loud and clear through their recent media blitz. However, from Ottawa’s statements made today, it appears it is a case of too little too late to sway the government’s decision to proceed as planned.